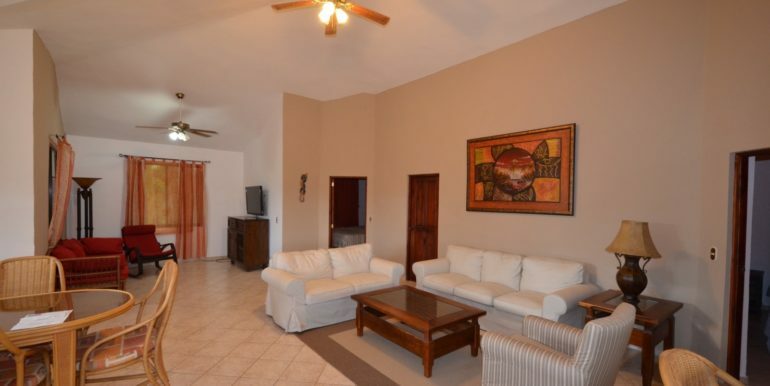 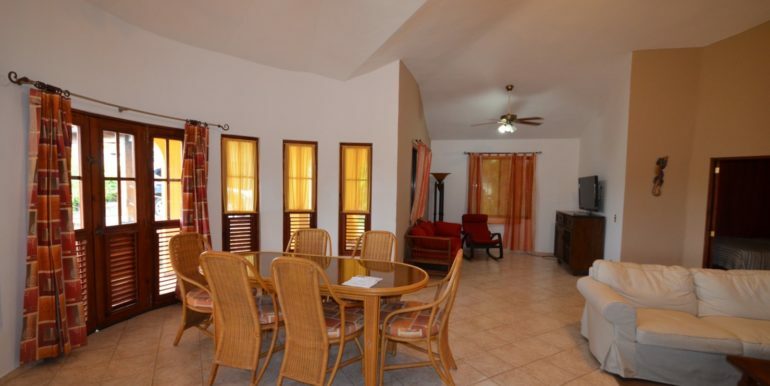 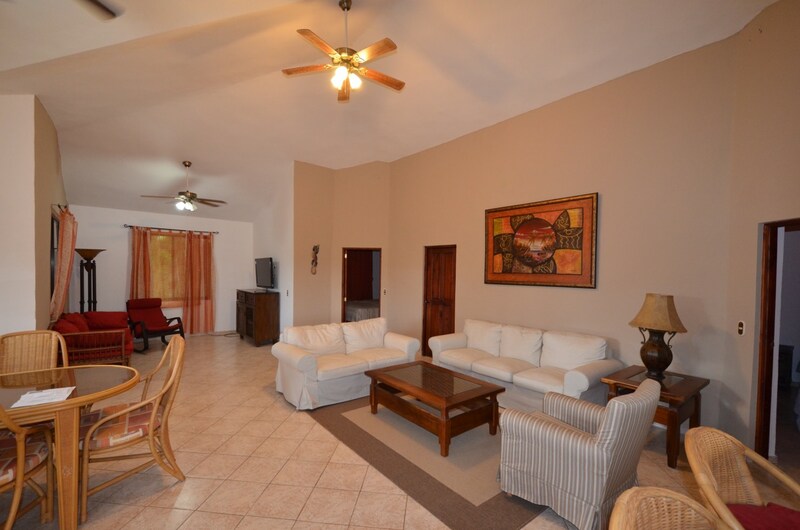 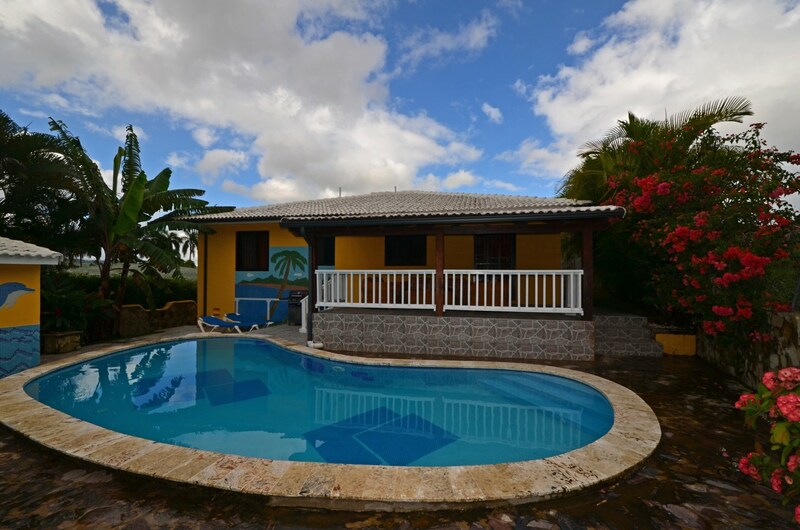 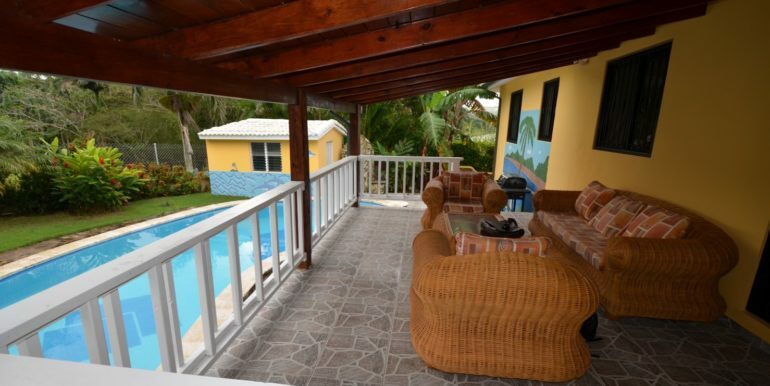 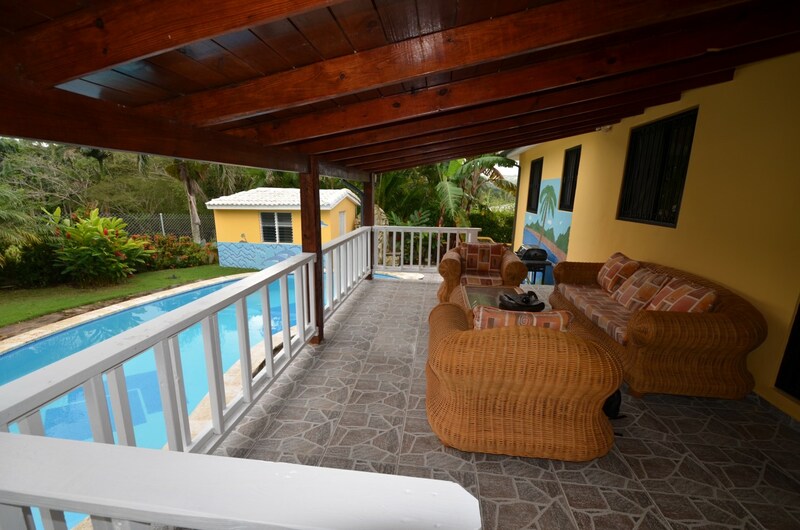 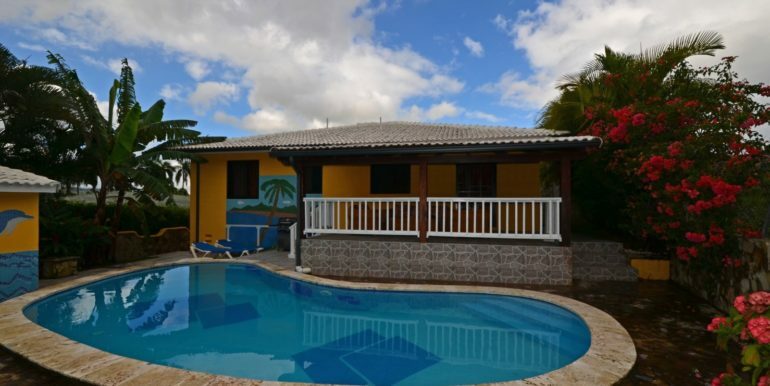 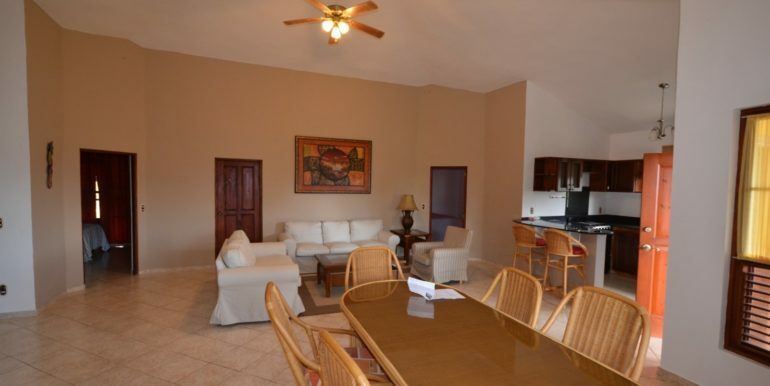 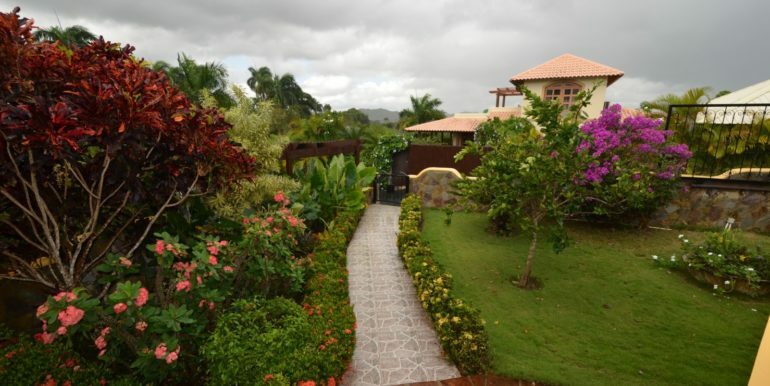 Perfectly set in a corner of a cul de sac with lush green areas and tropical flowers, this cozy gated community house has 2 bedrooms, 2 bathrooms and ample interiors as seen in the photos. 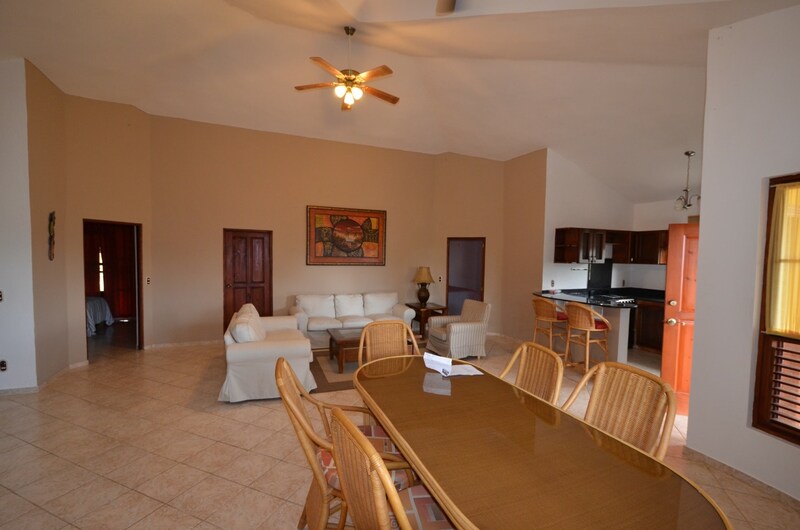 The living room has tall ceilings, with separate areas for media, dining and lounging. 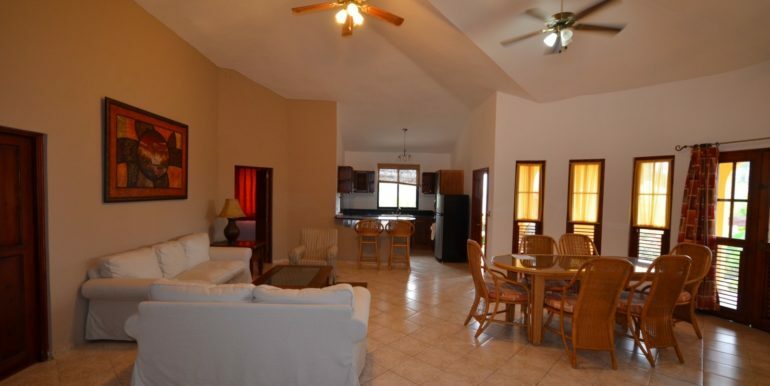 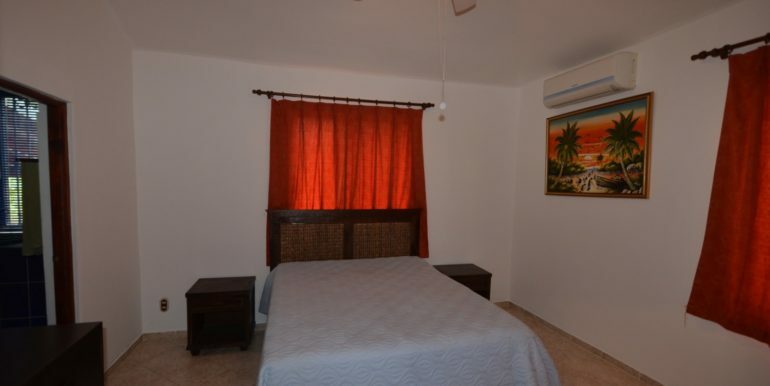 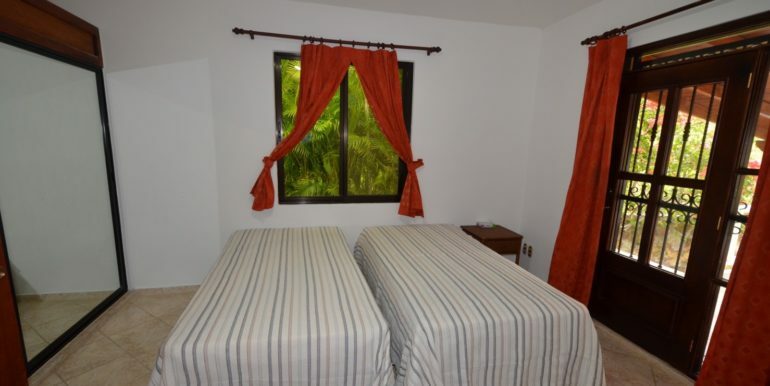 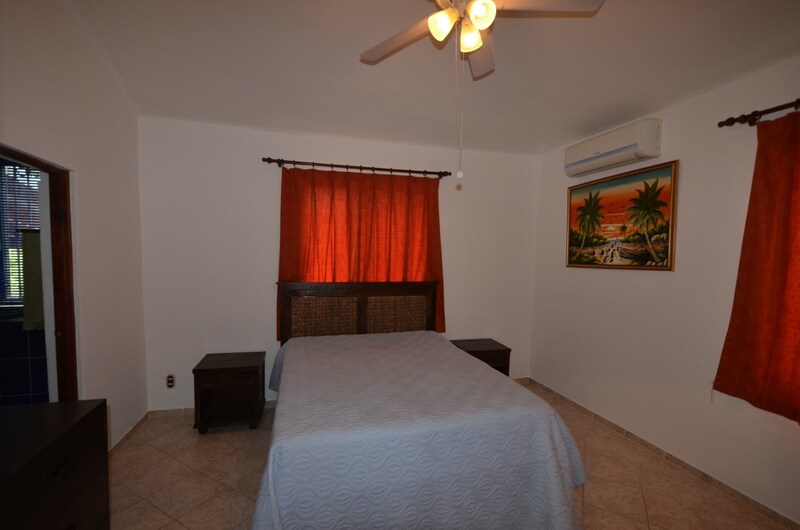 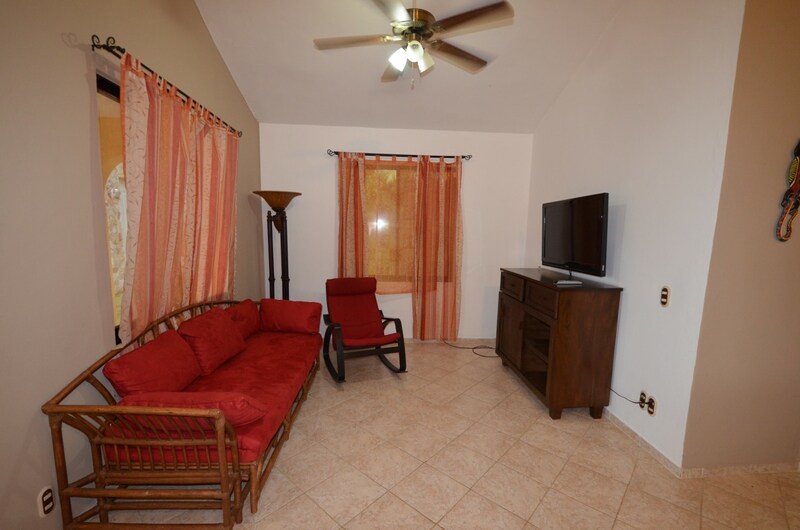 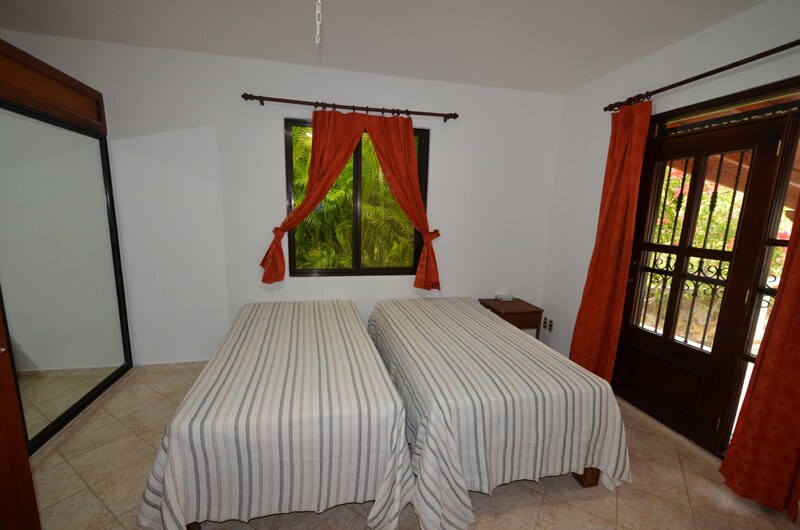 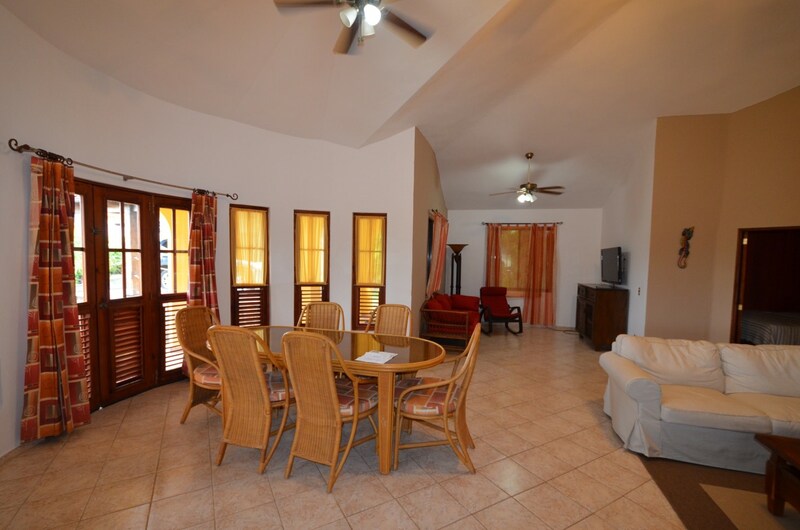 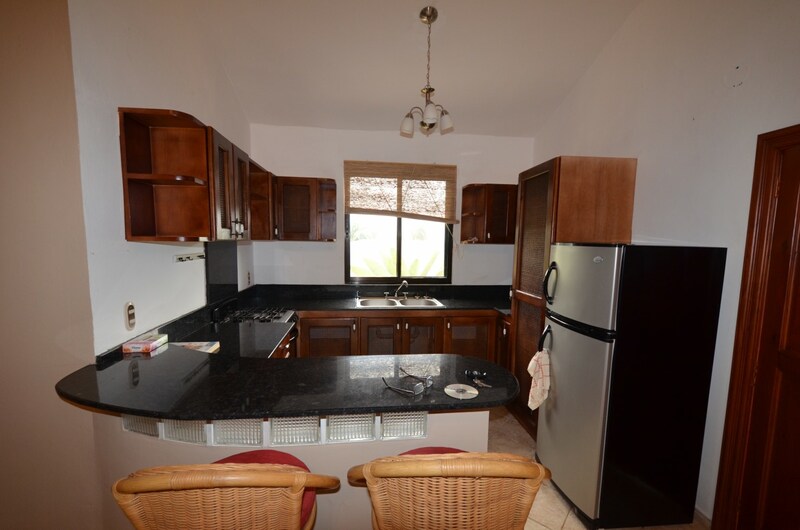 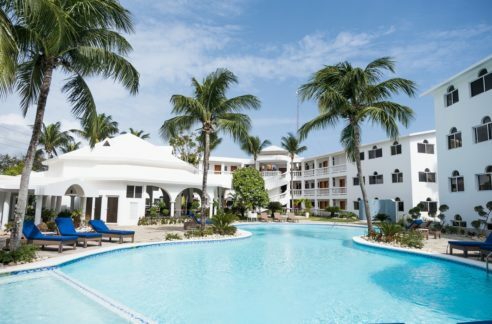 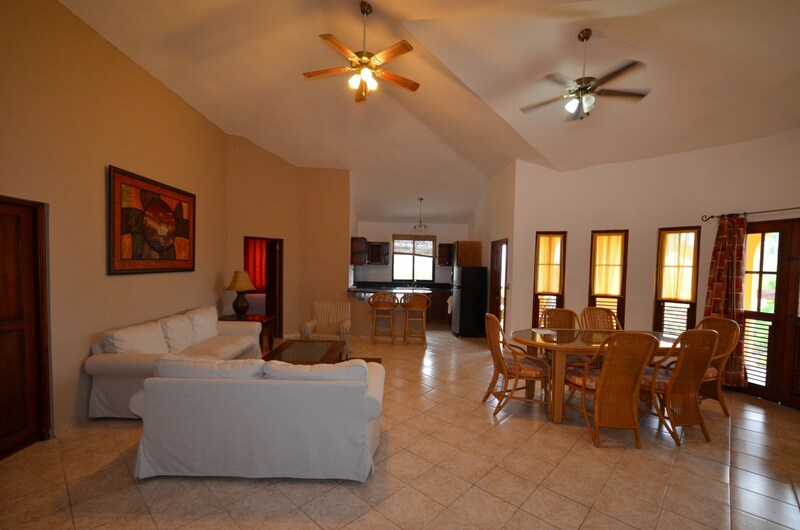 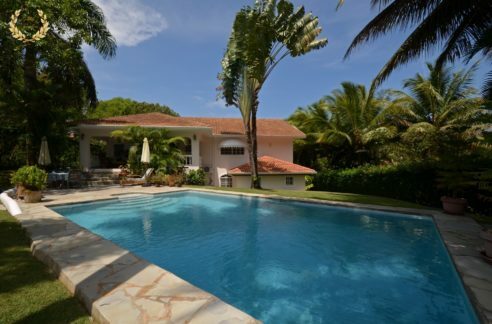 The two bedrooms are good sized and one has direct access to the covered terrace that overlooks the swimming pool. 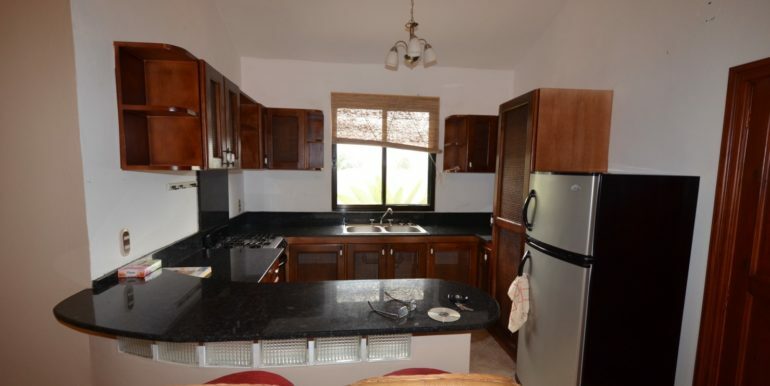 The kitchen includes a breakfast nook, with appliances too. 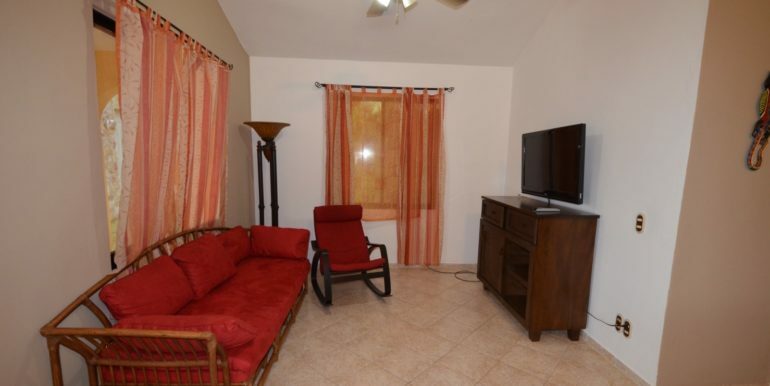 The house listed price includes the furniture, making it a turn key purchase. 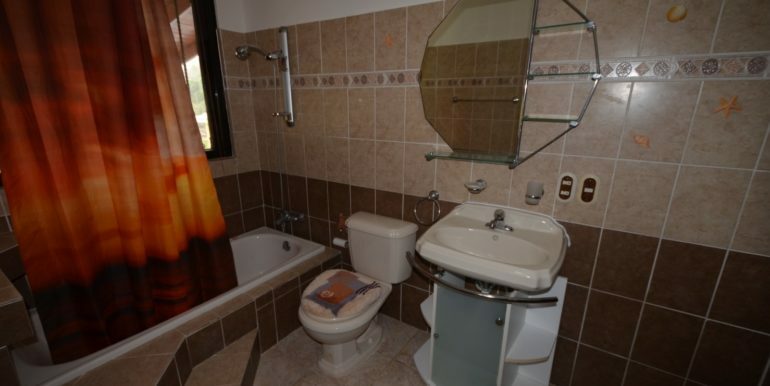 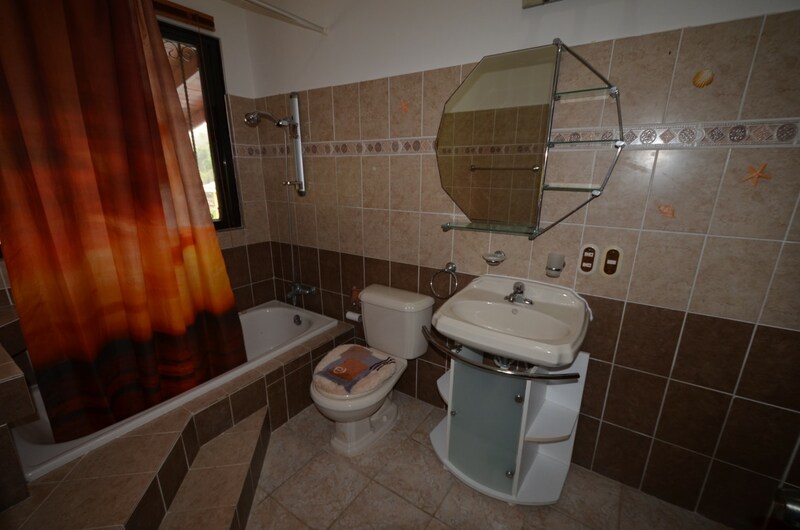 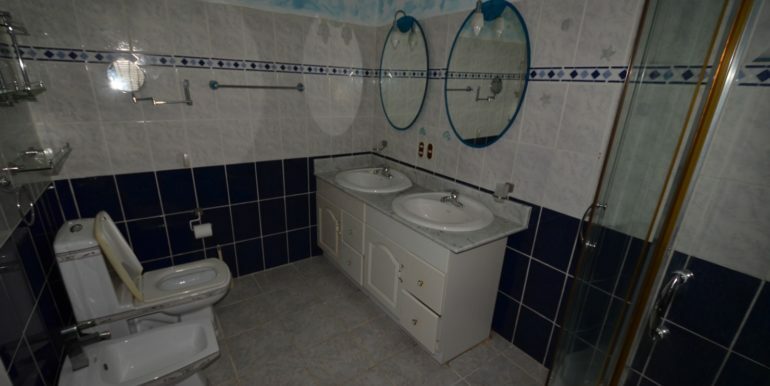 The two bathrooms are roomy, one with cabin shower and the second with bath tub. 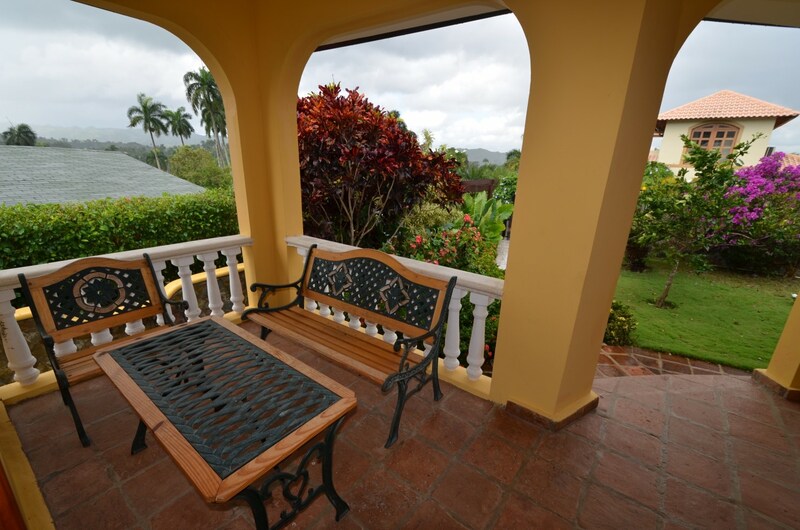 A porch in the front area faces an amazing garden with gorgeous, colorful flowers. 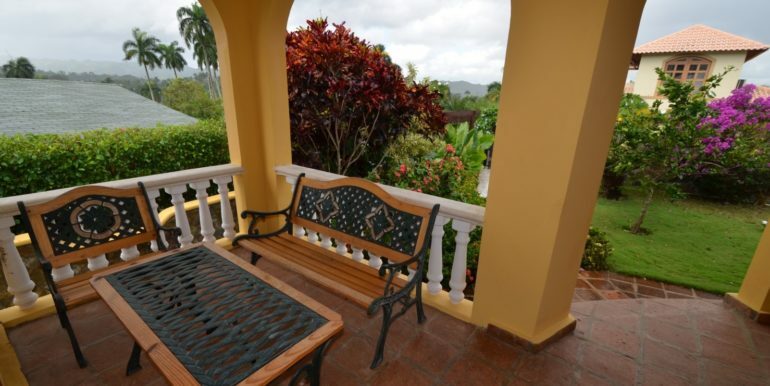 A car port is built to the right of the main entrance. 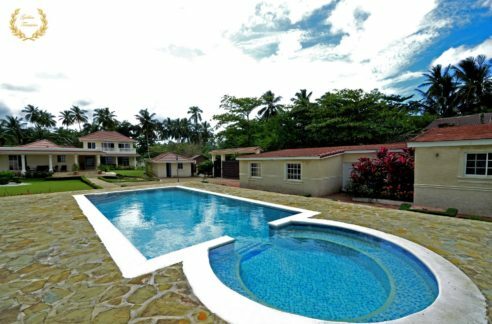 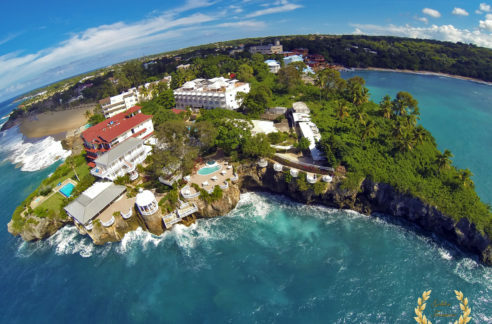 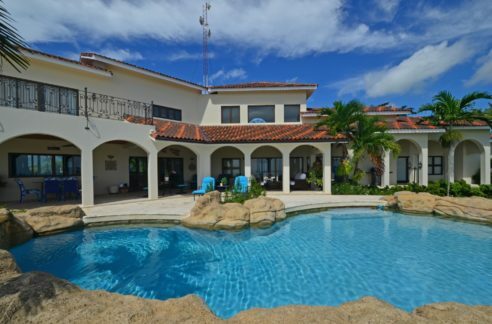 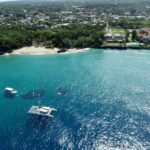 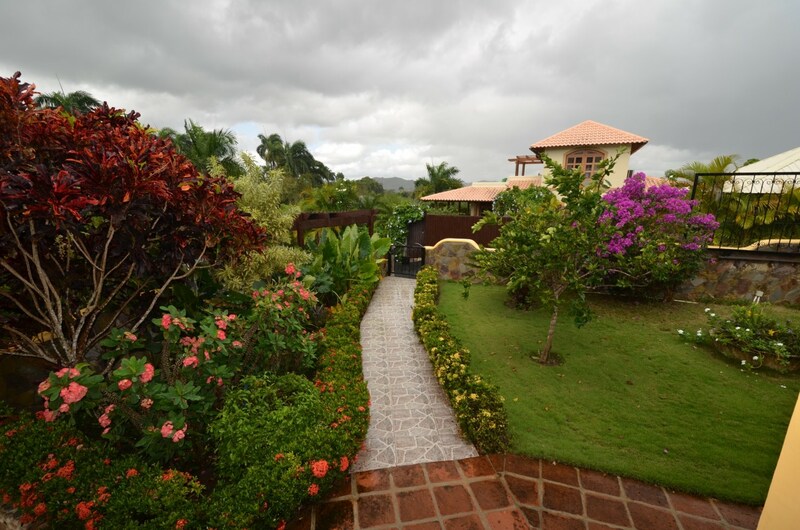 A neighboring lot can add more land if desired to expand the patio, and the quiet atmosphere of this community will be a plus for any buyer that seeks to own a piece of paradise close to town and Sosua Beach.